Check out the pictures in the slideshow. You can also watch us on KTVU (not the world’s greatest footage). Send me your pictures and videos and I’ll update. More video footage from the Starr King stands! Also…. who’s ready for the Year of the Rat?????? PARADE DATE: Sat. Feb. 8, 2020 — SEE YOU THERE! Permission slip — please return to Gracie or the PTA mailbox. We must have one for your child to ride the bus. Day-of-Parade Logistics — please review! It has the schedule, plus TV appearance tips. mandatory bathroom usage!!!! there are no bathroom stops during parade!!!! load onto buses. have some snacks and drinks!!!! parents and dinner will be awaiting our excited and tired parade participants! Happy Year of the Pig next year! It's supposed to be a year of good fortune and luck. 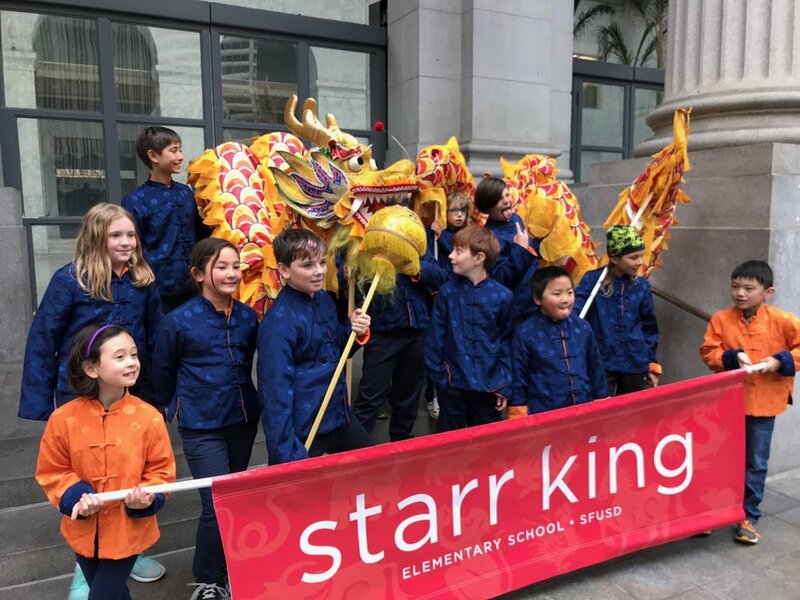 Starr King sends a parade team to march in the annual Chinatown Chinese New Year parade — join us! 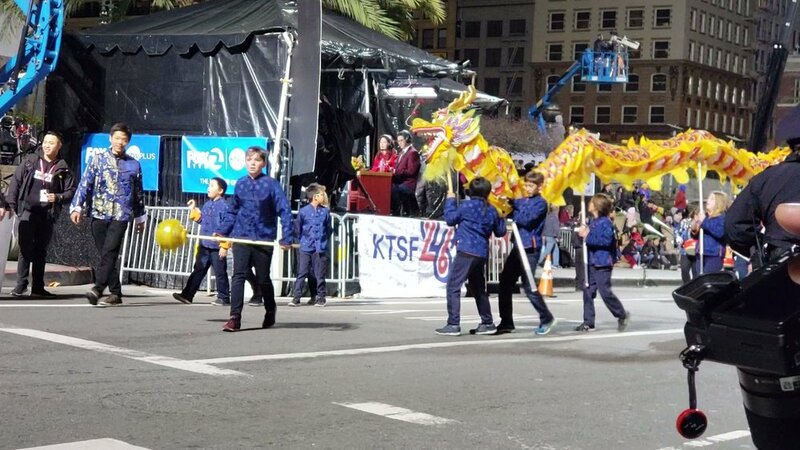 Parade participants can choose one of our three activities: the dance team, the drum corps, or the dragon. All groups are co-ed. If you'd like to join us but can't commit to practicing, we have a few spots for children to walk with Principal Martin holding our Starr King banner too. Parade Coordinator gets final say in activity assignment. 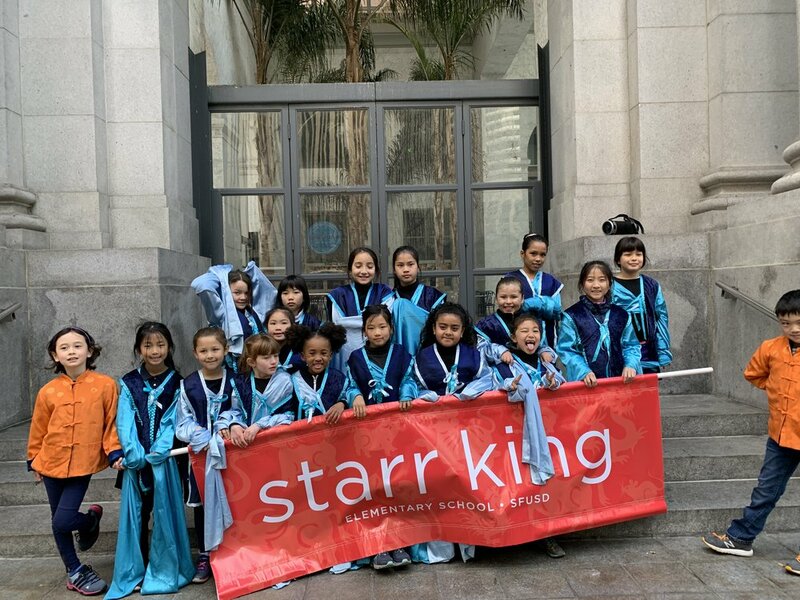 The team accepts up to 50 Starr King students from grades 1-5 (sorry, kinders! Next year! ), but please check the suggested grade levels for each activity when signing up. The team is self-funded this year — $80/child suggested, but no child will be turned away. Click here to pay by Paypal, or contact the team managers if you want to pay by check.